In Bengal, the battle lines between the Bharatiya Janata Party (BJP) and the Mamata Banerjee-led Trinamool Congress have been drawn and a full-scale war is raging. With the saffron party aiming to scoop out chunks of Lok Sabha seats from Mamata’s territory, it seems that the BJP is snapping her financial lifeline by hitting her Achilles’ heel, the Saradha chit fund scam, with remarkable precision ahead of the polls. 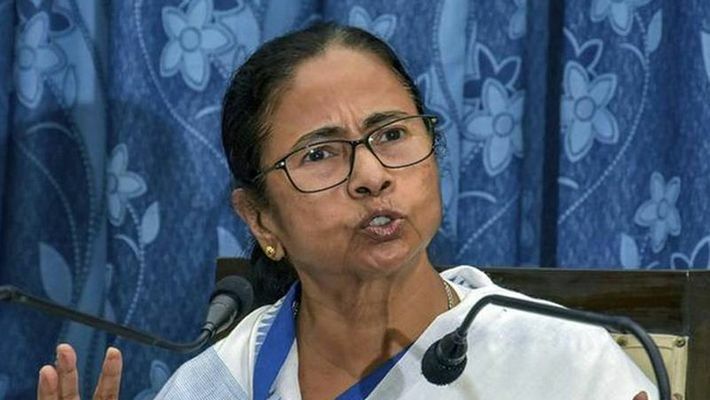 The Bengal chief minister launched a blistering attack on the BJP-led government at the Centre and the Central Bureau of Investigation (CBI) for their attempt to question Kolkata Police commissioner Rajeev Kumar in the evening of Sunday in connection with the Ponzi chit fund scam. There were allegations that the city police chief had allegedly held back information and destroyed evidence in the Saradha scam. The street-fighter chief minister dubbed the federal probe agency’s action as an “outright attack at the federal functioning of the country and the Indian Constitution”. But why did Mamata have to come out on the street — something which she may be the best at — protesting against a Supreme Court-guided CBI investigation against the city police top cop in her state? It is important to remember here that Rajeev Kumar was the commissioner of Bidhannagar Police when the Saradah chit fund scam broke out. Later, he was made the Kolkata Police chief, a coveted posting in the state. In another jolt to Banerjee last month, the CBI had arrested film baron Srikant Mohta in connection with its ongoing probe into the Rose Valley chit fund scam. Known to be a close aide of the Trinamool chief, Mohta was the founder-director of Kolkata-based media and entertainment company SVF Entertainment Pvt Ltd (formerly known as Shree Venkatesh Films). Sources in the federal agency claimed that there were significant inputs that Mohta played the role of a hawala agent in laundering Saradha chit fund’s money to several foreign countries during his films’ shootings on overseas locations. Moreover, an infotainment platform of the Rose Valley group had signed an agreement of Rs 25 crore in 2010 with Mohta’s company to get the broadcasting rights of 70 films produced by SVF Entertainment Ltd. But the film production house had given broadcasting rights of only 30 films to the Rose Valley channel instead of the promised 70. While their contract mandated that the films be new, most of these 30 films turned out to be old releases. Rose Valley chairman Gautam Kundu had moved court against SVF with the case. Sources said the arrest of Mohta and others would virtually dry up the monetary service line to Banerjee ahead of the high-voltage general elections expected in April-May this year. The SVF founder-director was one of the financiers and key man between the Trinamool chief and the entire film fraternity in Kolkata and outside. The CBI had earlier arrested senior journalist Suman Chattopadhyay for his alleged involvement in the I-Core Group chit fund scam case in December last. A close confidante of Banerjee, Chattopadhyay was the editor of a leading Bengali daily. He was previously the director of Disha Production and Media Private Limited. He was arrested by the CBI officials after hours of interrogation at the CGO complex here on December 21. Sources said Chattopadhyay had allegedly received money from the Ponzi scam in his company account as well as his personal account. He used to act as mediator between Banerjee and many top business groups in Bengal, too, sources said. “This is an attempt by the Centre to destroy the monetary service line up Banerjee has. It will have a cascading impact on her party’s finances ahead of the Lok Sabha polls which is extremely crucial for Banerjee to emerge to the political prominence nationally. As a result, she has gone berserk now,” said senior advocate and state Congress leader Arunava Ghosh. The Enforcement Directorate (ED) had questioned another industrialist from Bengal Pawan Ruia last week in connection with some foreign currency dealings in the recent past. The ED officials recorded the statements of Ruia — a close aide of Banerjee. The back-to-back clampdowns by central agencies came as a major setback to Banerjee ahead of the Lok Sabha elections, forcing her to hit the street once again (after the Singur-Nandigram issue in 2006) and play her traditional sympathy card. The Bengal chief minister had appealed to all opposition parties to join her protest against the BJP-led central government and CBI action. Banerjee staged a sit-in demonstration at Esplanade, the very location where she had staged a dharna and 26-day fast over the Singur movement. Meanwhile, the CBI on Monday filed interlocutory applications in the Supreme Court, seeking a direction to West Bengal government to cooperate with the agency in the Saradha chit fund scam investigation and not to impede the probe. A contempt petition against Kolkata Police was filed and sent to attorney-general KK Venugopal’s office for necessary approval. Solicitor-General Tushar Mehta is representing the CBI in the court. Two CBI officials returned to New Delhi from Kolkata after the Sunday night drama.